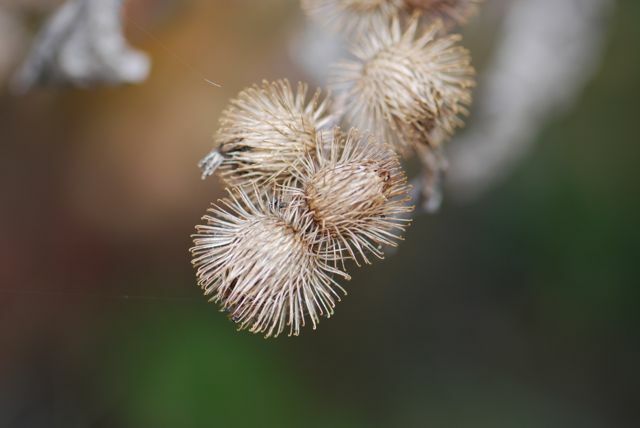 Our mystery seeds with the tuft on the top last week were from lesser burdock, Arctium minus. You might have recognized it more easily if I had shown some burrs. 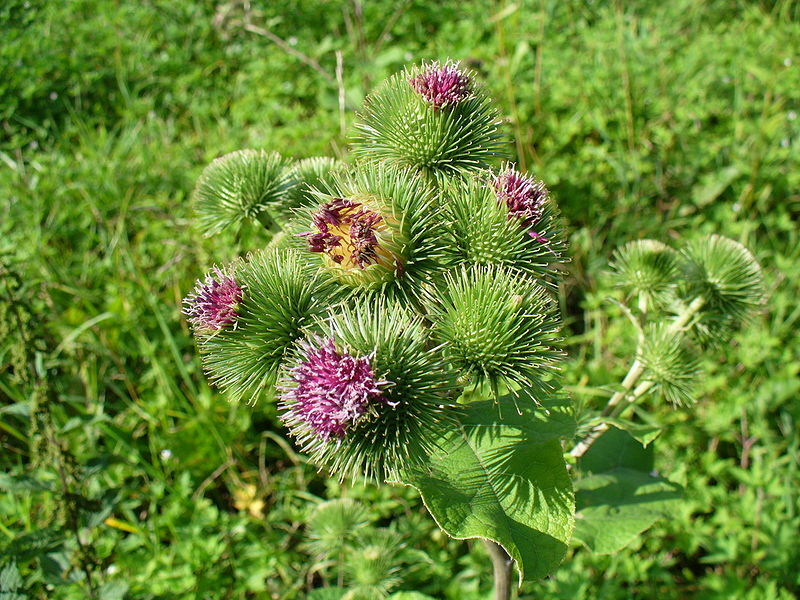 The hooks of the burdock burr stick readily to clothing and fur and are said to be the inspiration for the invention of velcro. 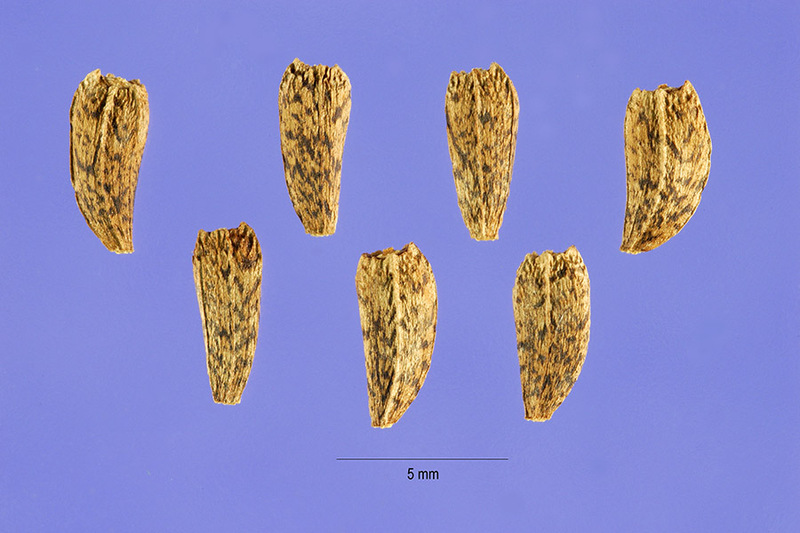 Inside the burrs are the mottled seeds. 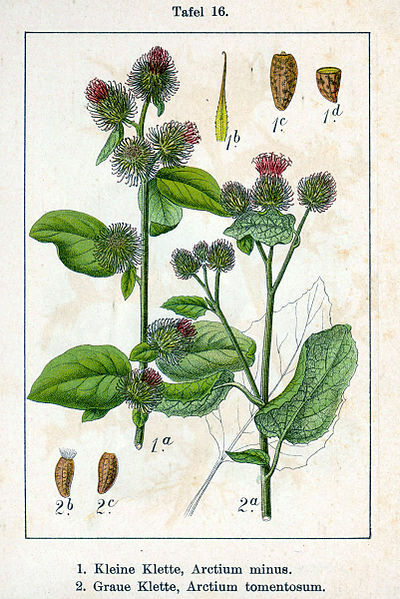 The burrs stick to animals, which pull them out again thus spreading the seeds. The seeds sprout into plants with large, roughly heart-shaped leaves. The plants are biennial (some species are perennial). They flower in the second year. 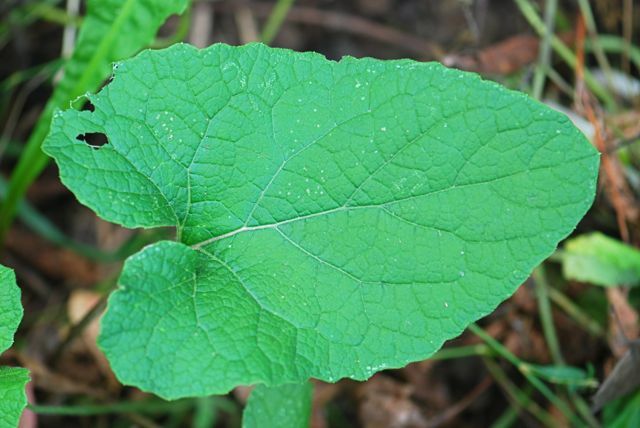 Although generally considered a weed, some species are thought to have herbal properties. Have you ever encountered burdocks? Our ponies used to get them in their manes, resulting in long hours of combing and trimming as well as picking spines from fingers. Not my favorite plant!